Ross Ulbricht, the recently arrested mastermind behind Silk Road, appeared in court today where his lawyer begged for more time before the detention hearing. The judge said he didn't "know what you're going to accomplish in the next several days." Maybe move some of his massive stash of hidden Bitcoin? The spokesperson says the approximately 26,000 Bitcoins seized are just the ones that were held in Silk Road accounts. In other words, it’s Silk Road users’ Bitcoin. The FBI has not been able to get to Ulbricht’s personal Bitcoin yet. “That’s like another $80 million worth,” she said, explaining that it was held separately and is encrypted. If that is indeed what he’s holding, that’s close to 600,000 Bitcoin all together or about 5% of all Bitcoin currently in existence. That's insane. It's, like, insanity of the batshit variety. Nuts! 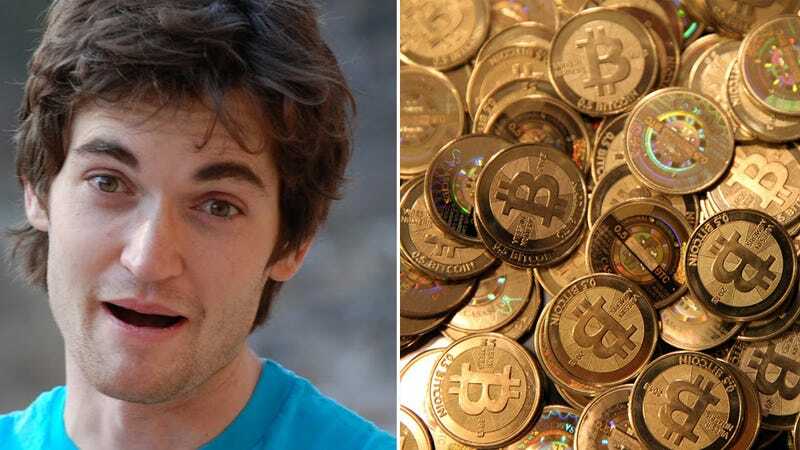 If true—and assuming Bitcoin doesn't totally crash—this 29-year-old hipster managed to hoard 5 percent of all Bitcoin in existence, and it might never be found. So he could just do a few years in the slammer, come out and dig up a virtual fortune then go chill on a boat in Mexico for the rest of his life. It'll be like The Shawshank Redemption except with fewer redemptive qualities.